Before you read the post, I hope you have read the part one of this discussion. So that you will know my basis why I have stated some features on this posts. Yes, I have an experience with Wordpress. Though it’s not my own blog, already used, installed, manage and set up working Wordpress websites. 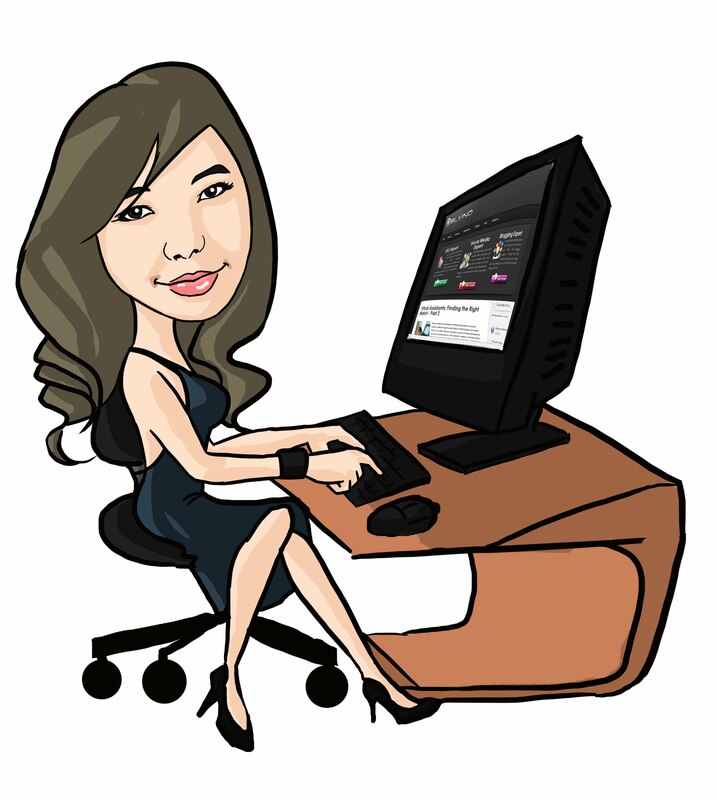 It's not my blog or website but for my clients, and since I manage them and gain access I found out what are the benefits of using it of course the disadvantage of it. Please take note that it doesn’t mean that you should follow what I do or let's say what or why I have decided to go for Blogspot. We all have different reasons, needs and preferences better check yourself and know what you want. - As a programmer, I love coding and if it means having a better layout and look of my blog then why not? So if you’re not a techy person, this might be the part that would be tricky for you. But I do admit, the look and design of Wordpress is much more better and more customizable compared to Blogspot. Though I can edit and change the look of Blogspot, there are elements that should be there so that it will work. But then, with the Wordpress free blog has only 180 themes that you can use, and there are over what? Thousands of Wordpress free blog users, then possibly one or two blog has the same look like yours. Anyway, though Blogspot is not as much good looking as Wordpress there are already free Blogger themes out there that are a look alike to Wordpress. It’s not 100% Wordpress like, but hey that’s much better compared to the usual look of Blogspot themes that you see before. - When I invest on something, even if it’s not money that I have invest to it, I always make sure I get something from it if it’s successful, and it would be great even if I am not successful with it. LOL. Who wouldn’t want to spend time and effort on something, that you could be able to earn money, right? You get to do the thing that you love the most, help people and the same time earn money. Though it’s not like a real world that you get a consistent amount of income each month, it’s still fun because you get to do. Well, that’s if of course if you chose the niche that you have knowledge and passion about. So if you’re having a war with yourself between Blogspot and Wordpress, yet you want to make money with blogging then go for Blogspot since Wordpress does not allow this. Unless you pay the premium service or have your blog hosted and install the Wordpress platform. - This is not mentioned on the first part, and as I have mentioned I’ve handled a number of websites that are in Wordpress platform. Though the free Wordpress promised and assure that they do kill spam and make sure their servers are secure, and because it has more limitations compared to Blogspot, if I want to go for Wordpress I’d rather have it hosted. If you host it, you’re exposed to Malware, virus and the worse thing is that hack. I’d never experience this problem with Blogspot so far. Hope not! This is one of the biggest reason I go for Blogspot, I do know how to maintain it but it’s tiring especially that I have clients to take care of. - Though we’re talking about the FREE WORDPRESS blog here, again if I go for Wordpress I’d rather go for the premium service or have my blog hosted somewhere. Why? This is because I want to brand my blog, branding is very important. I want it that when my readers or audience see a certain theme, they could identify that it is my blog. So with Wordpress free blog, you can’t do this. Maybe with your logo, you could but that’s it? So since paying for hosting and domain, without an assurance that I could earn money from my blog it’s hard to risk a big amount of money. Though it may be not that expensive to some, it’s a big money for me. Thinking about the maintenance, the hacking, virus, malware, and of course without the assurance that you’ll earn money from it. I didn’t like it. So all in all I chose the Blogspot free blog over with Wordpress. Though a lot of people love and prefer Wordpress for some reasons, well that’s their needs and this is mine. You don’t need to follow mine, this is just an input for everyone especially for people who are thinking of starting to have a blog and don’t know where they should go between these top free blogging websites. I am not against Wordpress, I do love Wordpress but because Blogspot gives me what I need and what I want on my blog then why not go for Blogspot right? So bloggers who already have a blog, why did you choose your current free blog websites? 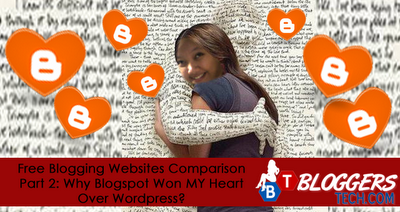 Is your blog under Blogspot, Wordpress, or other free blogging websites? Share us your thoughts, speak your mind and love..love…love! Bloggers Tech - iPAD May-nia Giveaway!